« Summer of Code Wrap-Up. 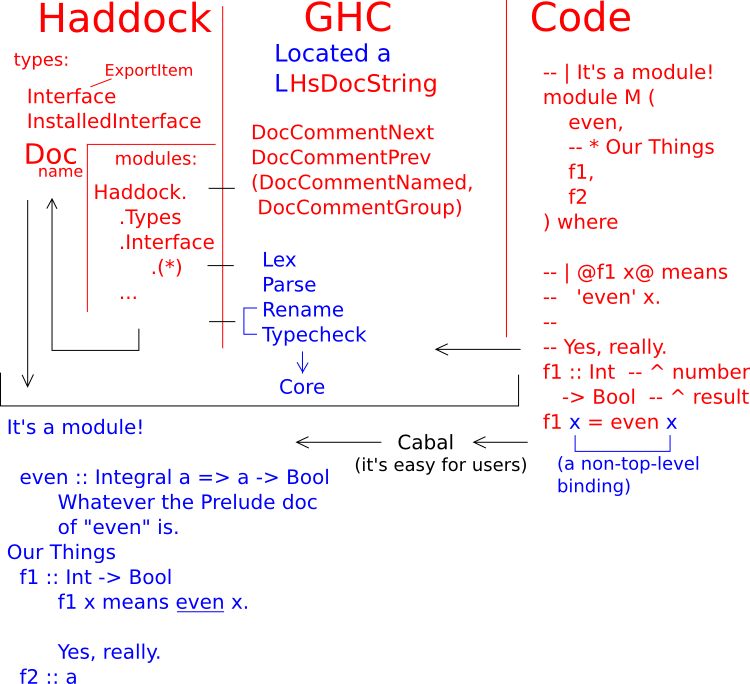 In August, I presented about Haddock internals to the Boston Haskell User’s Group, at MIT. I drew on a white-board for the visuals. Here’s what I drew (except neatened and digitized, not dry-erase-marker ink). Here’s the source Inkscape SVG (WordPress.com doesn’t allow using SVG images currently). This entry was posted on November 11, 2010 at 9:07 am and is filed under Uncategorized. You can follow any responses to this entry through the RSS 2.0 feed. You can leave a response, or trackback from your own site.